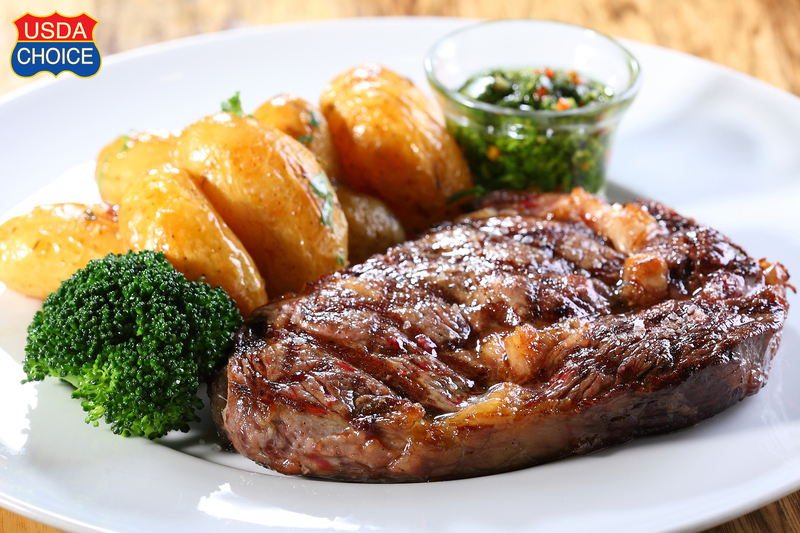 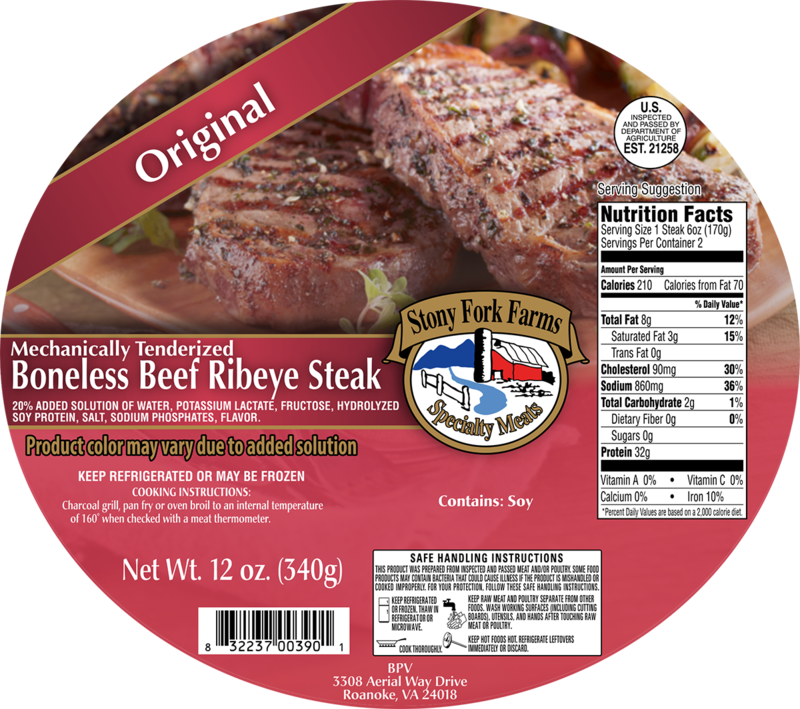 Bourbon Flavored Boneless Beef Ribeye – This product comes with two 6oz. 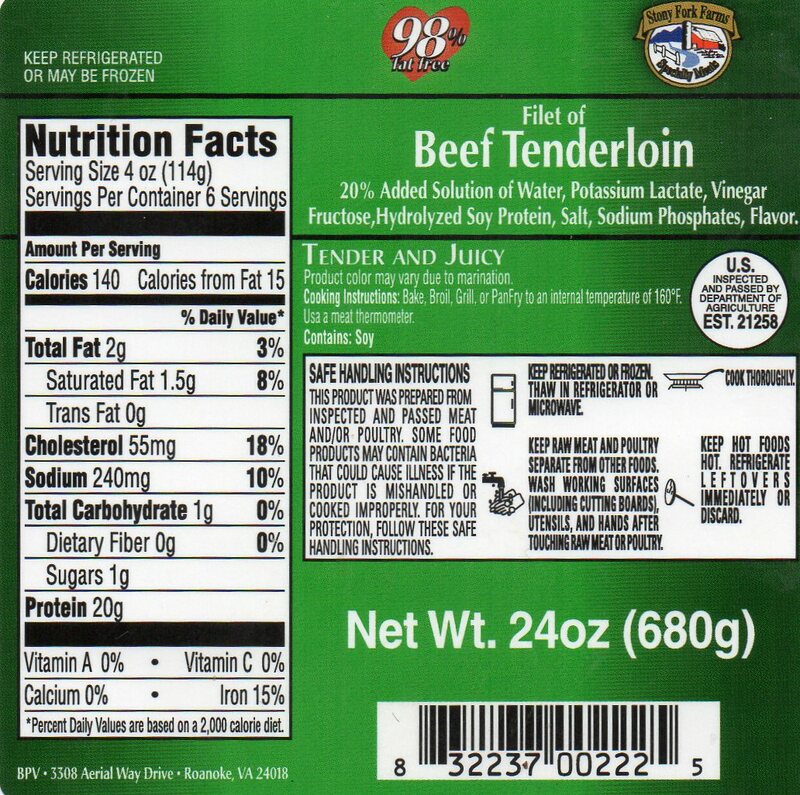 cuts of beef per package. 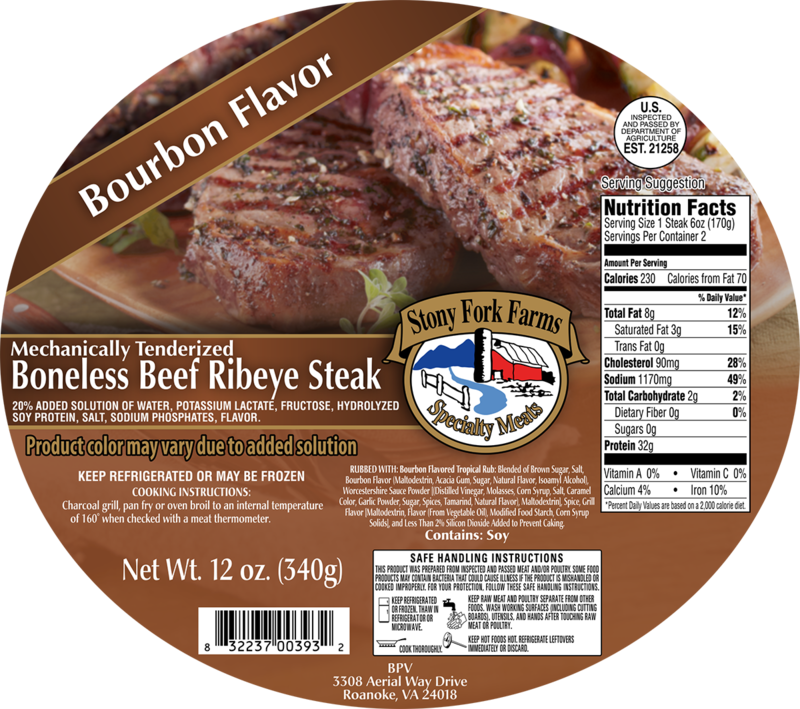 Rubbed With A Blend Of Brown Sugar, Salt, Bourbon Flavor and Spices for a light Bourbon taste.